Back your favourite players this weekend and win €5 Free Bet with Goalscorer Reward for each player that scores a goal! Join Unibet today, opt-in for the Goalscorer Reward and place a €10 wager (or more) on any of the select games above. When the select player strikes a goal in the respective game, you’ll receive €5 Free Bet, and in total there are six matches that qualify towards the Goalscorer Reward, so there’s plenty of Free Bets up for grabs this weekend with the online sportsbook. 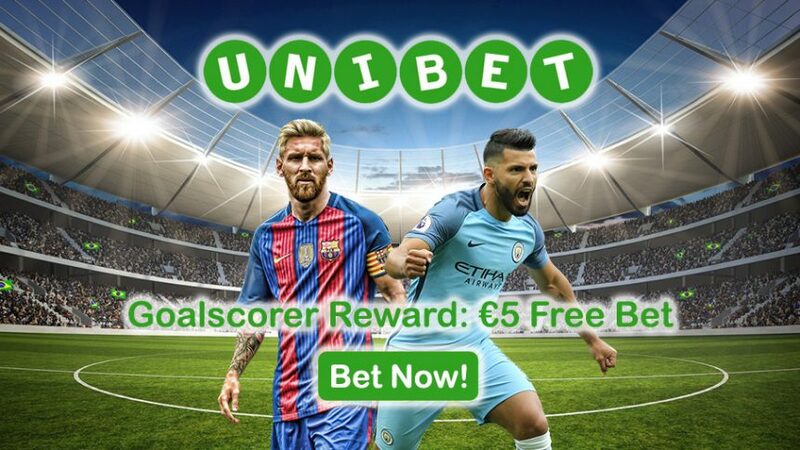 Unibet has picked proven strikes that find the back of the net as easily as you down a bottle of cold beer, so you’re practically guaranteed to win 6 x €5 Free Bets with Goalscorer Reward. This offer is valid only for this weekend (October 29-30), so make sure to place your bets on Europe’s best strikers before they take to the pitch. Note: live bets don’t count towards the Goalscorer Reward, so you’ll have to place your bets on the select matches before kick-off time. The minimum wagering amount is €10 and the odds have be at least 1.40 (2/5). All of the players above have a penchant for scoring goals and considering it a failure if they don’t strike the back of the net. Considering that a number of these forwards will be playing against lower sides this weekend, you can expect them to bag a few goals in their respective games, which translates to mucho dinero in ‘Free Beto’ my amigo! Opt-in for this special Goalscorer Reward offer and win 6 x €5 Free Bets on Europe’s deadliest attackers! Collect €5 Free Bet with the Goalscorer Reward!